On Thursday January 31st, students flocked to the Flom Auditorium in the Walsh Library basement to watch the College Republicans and College Democrats debate on issues such as the fiscal cliff, gun control, and the NYC soda ban. In the audience sat several debaters and bored students that were required to attend the event for class; on the stage stood either mumbling or incompetent debaters whose arguments ranged from confusing, terribly researched or merely decent. 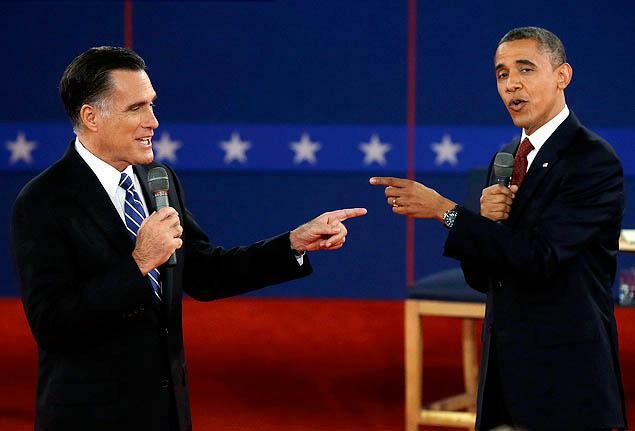 The event began with a well-intentioned debate about the fiscal cliff. The debaters had obviously neglected to do the necessary amount of research; leading to a fumbling of shady facts that even the speakers seemed unsure of. Unlike some of the other debaters that night, these two did possess a decent amount of public speaking skill, but their lack of adequate preparation was just too obvious. The next topic was gun control, which was destined to bring confusing arguments, inconsequential ramblings and plenty of ridiculous statements. This debate is best explained through a series of quotes brought to you by the comically delusional Republican debater on gun control: “Freedom over tyranny!” “I am a small woman so a gun makes me equal.” And finally, “I didn’t think that far about militias.” I won’t think too far about that statement before I am confused into oblivion. The next debate on the war in Afghanistan produced a truly impressive array of sexual innuendos that definitely livened up the sleepy atmosphere. My personal favorite: “Pull out slowly because we can’t leave 66,000 troops in there.” The rambling off of questionable facts and figures was tiresome while the flustered and awkward manner of the speakers made for an uncomfortable and tiring experience. Finally, a debate on the New York City soda ban ended this thing on a near-riotous note. The Democratic debater acted very nonchalant and didn’t take anything seriously. His attempt to make a mockery of the debate with his quick wit and purposely-exaggerated over-enthusiasm did not please his fellow debater. The jokester definitely deserves some props for somehow breaking the universal ennui that befell the auditorium. He made a joke about the nanny state, a term brought up by his opponent, and the crowd laughed: the rest was history. The Republican grew visibly frustrated; he was losing big time. The true star of the show was the random older lady who took notes during the debate and most likely snuck on campus somehow. She asked the Republican debater a question along the lines of “If soda is banned, what else is next? When will this stop? DON’T TAKE AWAY MY CHOCOLATE BECAUSE I REALLY LIKE IT!” The bemused crowd laughed, and the debater seemed more flustered than ever. The debate soon concluded after closing the soft drink subject. At best it was mildly entertaining, and at worst it was horribly disappointing. With extra research and preparedness, the debate could have been enlightening or even interesting, but the lack of factual basis behind both sides bested actual conversation yet again.